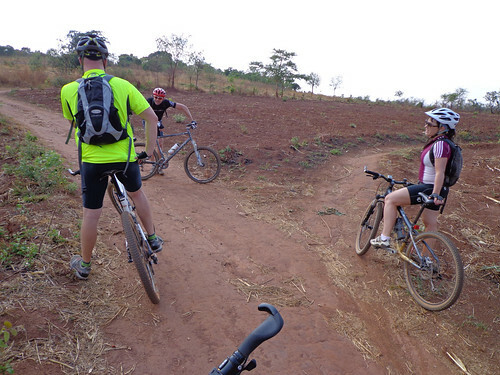 This ride was followed on Zambia’s Independence Day 2012. It’s a great ride with two significant decents and accents with some plateau riding in the middle. 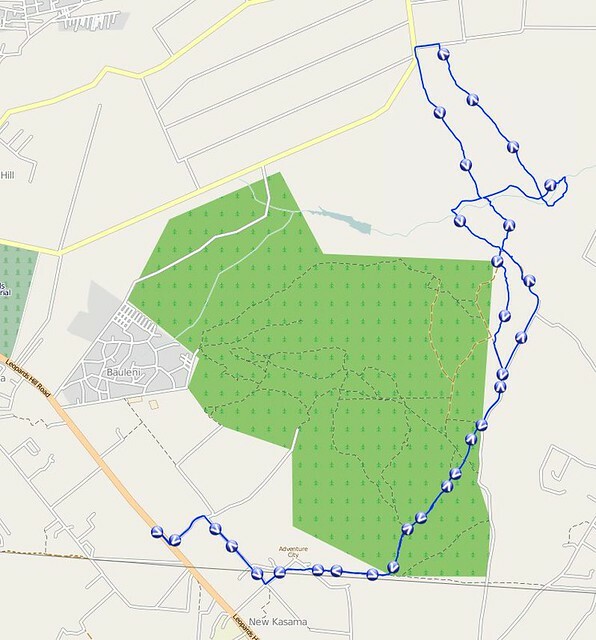 If you go around this route in a clockwise direction, as we did, you will ride down the infamous ‘Profanity Hill’. I’ve walked up ‘Profanity Hill’ twice – pushing two bikes on one occasion – so doing it this way around was a great improvement. In the valleys it is very hot so start early and take plenty of water. We started at 7am and I got through 3 litres of water. Matt Morely if you can get him! Matt knows this area very well and can advise on alternative routes along the way. 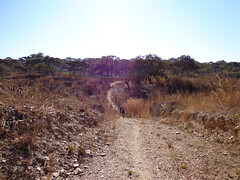 This was the first mountain bike ride I did in Zambia and it was tough! There are 20% uphill sections which most people will have to walk. It is absolutely fabulous countryside though with great views and variation (uphill, downhill, stream crossings etc). Take at least 2 litres of water with you (I consumed 3) and an energy snack or two. Next time I do this I will start out early, take a picnic and make a day of it. Here is the route on Google Earth – please be patient, it may take a few moments to load. Once loaded it will zoom in and show the trail. 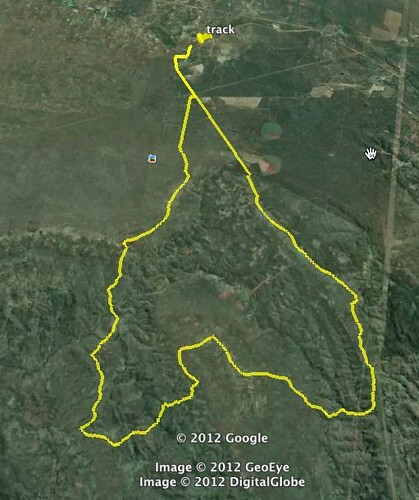 To get more functionality eg to view the ride profile, download the KML file (above) and open it in Google Earth. 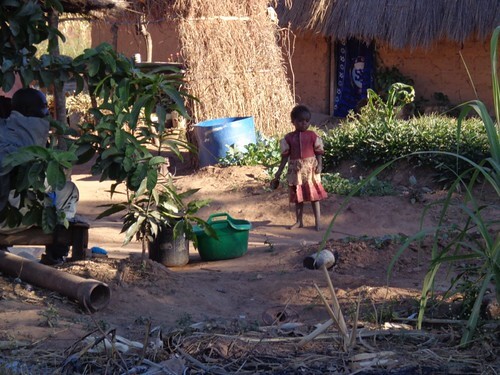 The Namaziyo Falls are on the Namaziyo River, a tributary to the Zambezi River. 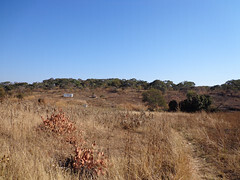 The path starts at the village of Kabanana on the Chirundu Road, about 10kms before the turn off to Siavonga. Directions to the falls were kindly provided by Quentin Allen. Three men and four women took us to the falls. Laxon and Lawrence and one other chap as well as four wonderfully good fun female guides whose names we will identify and post on the site as soon as possible. It would be better for future walks to have just two guides and agree on a price before leaving for the walk!! All posts to the website put in the category ‘Cycle trail‘ will appear here in reverse order of submission ie with the latest submission first. All posts to the website put in the category ‘Walk‘ will appear here in reverse order of submission ie with the latest submission first. All posts to the website put in the category ‘Run‘ will appear here in reverse order of submission ie with the latest submission first.